Bernard Coetzee is a Conservation Scientist with the Global Change Institute at the University of the Witwatersrand, Johannesburg, and lectures in conservation with the Organization for Tropical Studies, based in the Kruger National Park. 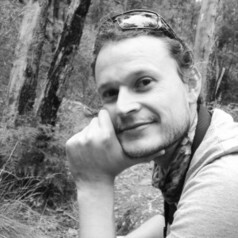 He completed his PhD in Stellenbosch University in 2013 and conducted a two-year postdoctoral fellowship on Antarctic Conservation Planning at Monash University in Melbourne, Australia. His research focus unravels the impacts of humanity on biodiversity, particularly from climate change and light pollution and mainly studying birds, and also conservation evidence, thus studying the effectiveness of our strategies to alleviate those impacts. He has penchant for synthesis, both from literature reviews but also through meta-analysis. He is also active in global conservation science and policy initiatives, such as the Antarctic Monaco Assessment, the World Commission on Protected Areas, and the Society for Conservation Biology’s Team Counterfactual.